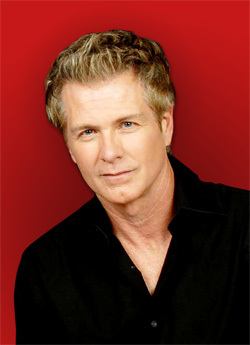 Pat Torpey, the drummer and lead singer for the group Mr. Big, has died from complications of Parkinson's Disease. Drummer and founding member of MR. BIG, Pat Torpey, passed away Wednesday, February 7 at the age of 64 from complications of Parkinson’s disease. Family, band and management request privacy at this very difficult time. Services are pending. MR. BIG, formed in 1988, produced numerous hit songs that ranged across a wide array of rock genres – be it ballads, heavy metal, or blues rock. Their hits included “Alive and Kicking,” "Just Take My Heart" and the chart-topping ballad, "To Be With You" (BillboardHot 100 #1 single in 15 countries for weeks in 1991, propelling the band the band to huge international success and multi-Platinum record sales). Torpey was born in Cleveland, OH and started playing drums at the age of seven. In high school, he played in every ensemble he could and, after graduating, moved to Los Angeles. There, he played on American Bandstand and Solid Gold before he became the drummer for John Parr and, later, Belinda Carlisle and the Knack. It was while with the Knack that he met Billy Sheehan and Paul Gilbert who were looking for a drummer for their new band. While prepping their first album, he was asked to play with Robert Plant on his Now and Zen tour and did double duty for the length of the tour. Mr. Big released their self-titled debut in 1989, reaching number 46 but it was album number two, Lean Into It, that really established them due to the number 1 single "To Be With You". The followup, "Just Take My Heart", went to 16 and "Wild World", a cover of the Cat Stevens song from the band's third album, Bump Ahead, went to 27, but that was the last time they reached the top forty. While still with Mr. Big, Torpey recorded two solo albums that mainly saw release Japan and Asia, Odd Man Out (1998) and Y2K (1999). In 2002, the band broke up and Pat struck out on his own, working with a long list of artists including Paul Gilbert, Niacin, Richie Kotzen, Johnny Hiland and a return to The Knack for their album Normal as the Next Guy (2001). In 2009, Torpey reunited with the rest of Mr. Big and the group recorded three more albums including 2017's Defying Gravity. Pat announced his Parkinson's Disease diagnosis on July 25, 2014 and pulled out of the band's upcoming tour. He continued working with the band as "drum producer" and a percussionist but gave up his full drum duties to Matt Starr. he was 58. billy sheehan is 64. check wikipedia. We questioned this with Mr. Torpay's publicist, from whom we received the notice of his passing, and she originally said 58 but corrected it to 64 and then confirmed it a second time with us.